May comes to a close today on the first day of a shortened work week. We rolled into the driveway yesterday from the lake in decent time, successfully avoiding getting swept up by a speed trap in the middle of a passing zone. Peeve: When drivers speed up as they reach a passing zone, and then slow down again at the end of it. Their slow speed is frustrating for me, but their fast speed in the passing zone forces me to really exceed the limit if I hope to get around them. The added factor of being policed for speed in the short sections with an extra passing lane further inhibits my ability to squeak past the slower-downers. Before we left the lake, I dug up about 15 trillium plants to bring home with us. Upon arriving to Wintervale, our agenda was to get the transplants in the ground as quickly as possible. Our plan went off without a hitch. Now all we need to do is wait about a year to find out if they are survivors or not. 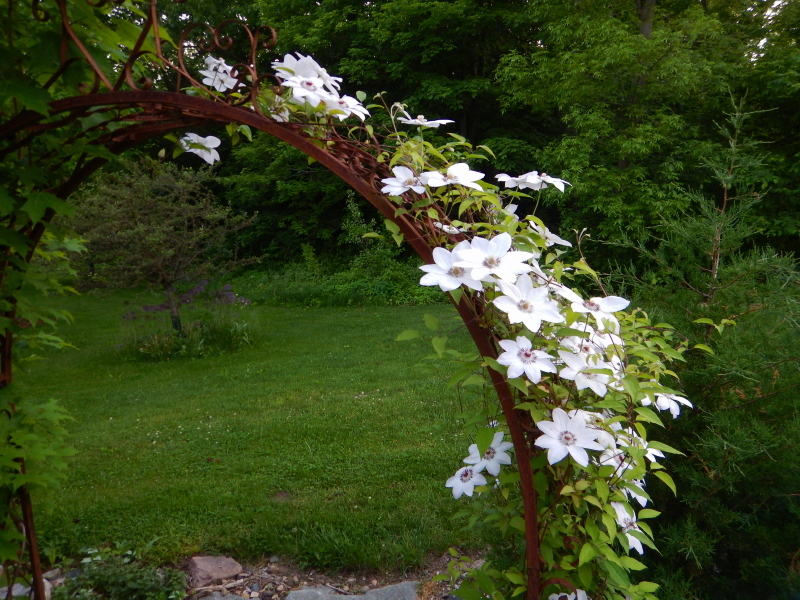 One flowering plant that looks to be doing very well at home right now is the clematis vine that is on one of our trellis arches by the back deck. It is very photogenic when it is in bloom. Our animals seemed very glad to see us again and gave us a good amount of affectionate attention. 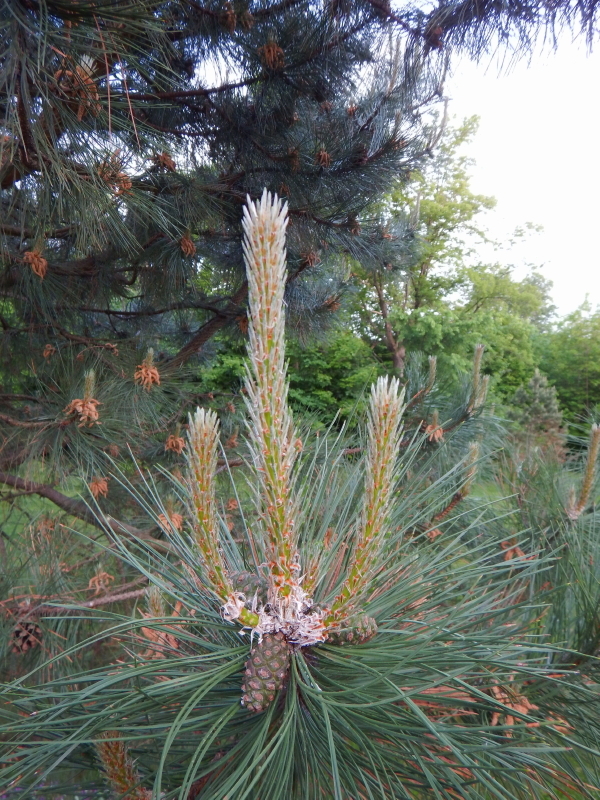 The lawn already needs mowing again and the pine trees are starting to show some significant new growth sprouts. It feels very much like everything is ready for the arrival of the month of June. It’s the birthday month around here, as everyone but Julian turns another year older in the 6th month. Makes it feel like more than a short week. It feels like it’s been a short year!